CPI-M General Secretary Sitaram Yechury was roughed up by a young man at a press conference here on Wednesday.Enraged members of the Communist Party of India-Marxist pounced on him and an accomplice and thrashed them before handing over the pair to police. Both were said to be from the Hindu Sena.Yechury described the attack as an attempt by the RSS "to silence the voices of dissent". "We will not be cowed down by Sangh goondagardi to silence us. This is a battle for the soul of India, which we will win," he tweeted. 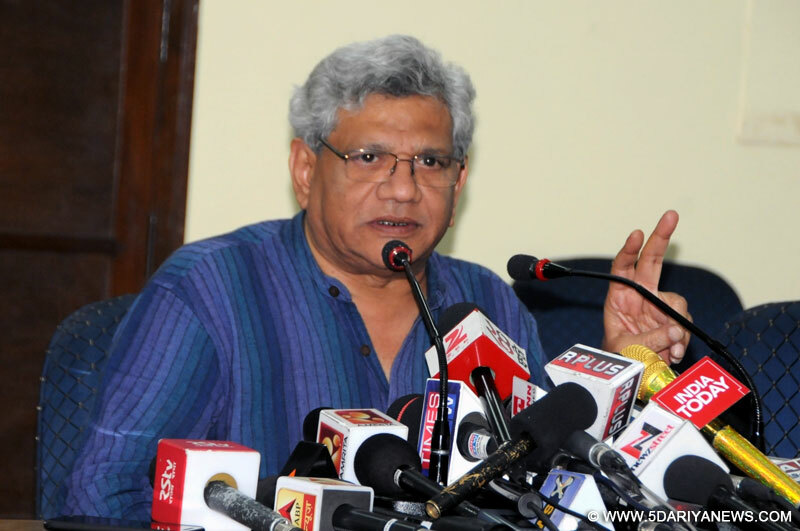 Can Yechury stitch together an anti-BJP coalition?